It seems like yesterday when I told you about our new home in China in January (or was it February?). 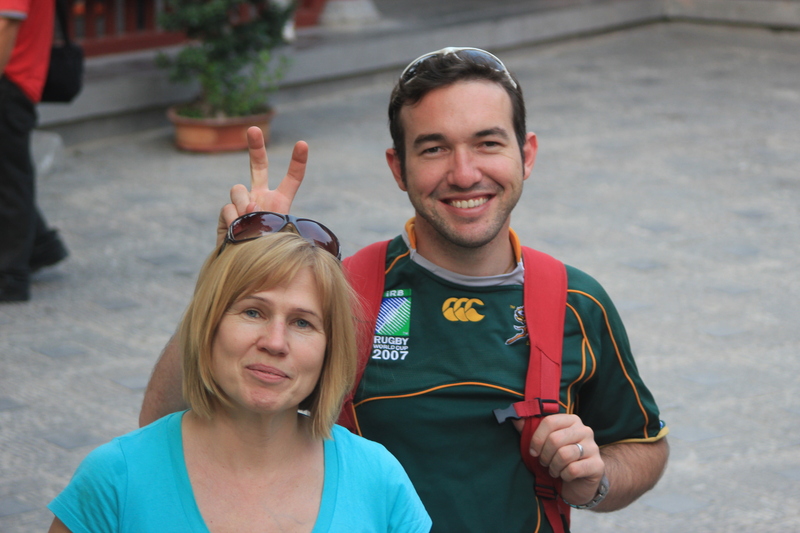 Time has flown by, my mum’s been to China and we’re now approaching the end of October. Crazy. The weather went from 30 degrees to 15 in a day, so winter jackets, socks and jumpers are out once again. The temperatures and seasons in Xi’an seems to change quicker than I have ever seen anywhere else. My mum experienced an immense culture shock for the first day, but then got over it as we went to see lots of different places in and around Xi’an. 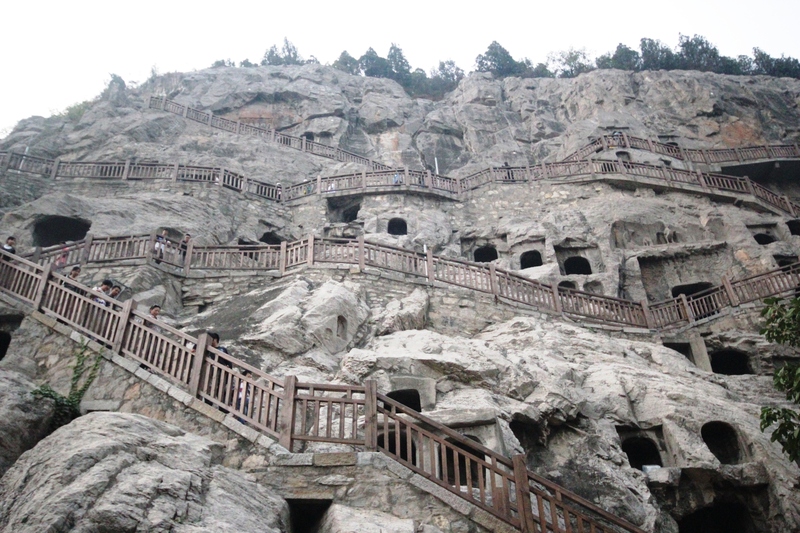 These grottoes are in Henan province, about 2 hours on a fast train from Xi’an. 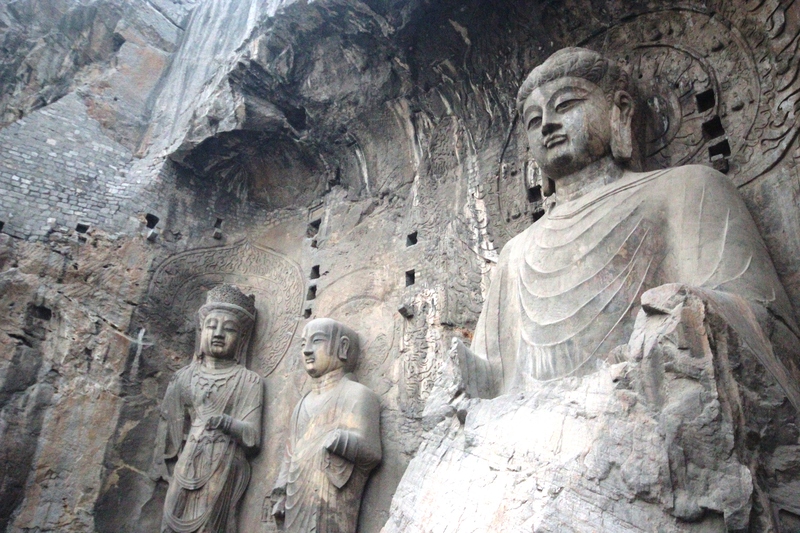 There are tens of thousands of Buddha statues carved into the stone, their size varies from 10cm to 10m, many of them were painted initially and the remnants of paint can still be seen on some. 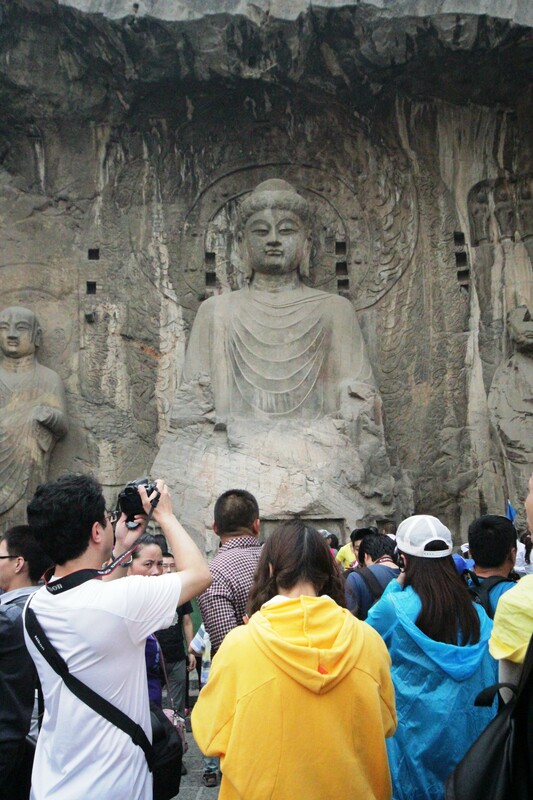 The carving of the Buddhas started in 493AD and lasted until 1127AD. 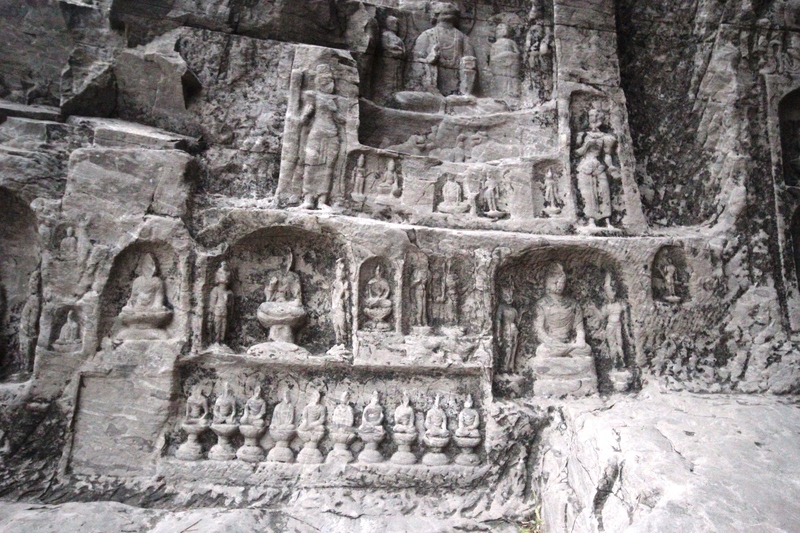 A lot of the grottoes have been vandalised by thieves over the years and the majority of the Buddhas’ heads were destroyed by the Red Guards. Despite this the scale of them is still very impressive. I would, however, like to go back to have a better look at the grottoes. We went during the worst possible time – National Day holiday. 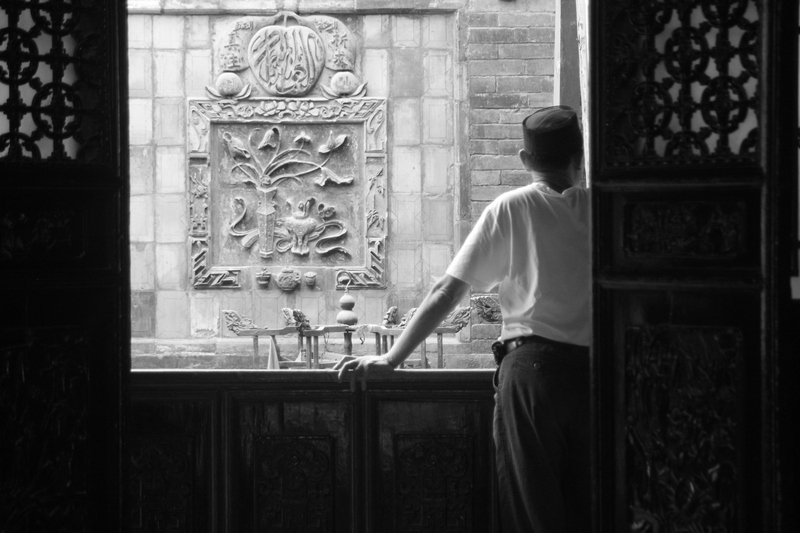 This meant that the rest of China was there with us, which made moving or seeing anything nearly impossible. We all got rather annoyed with the crowds moving in all directions and the chaos that ensued. After looking around for a couple of hours, we decided to head back to the train station. The taxi driver who had brought us to the grottoes was waiting for us outside the gate, we were so thankful we gave him a bottle of Estonian vodka, which I just miraculously happened to have in my bag. We got to the train station only to find that the next two trains are fully booked and we would have to wait for 2 and a half hours. We did not mind (very much) and proceeded into a coffee shop to kill some time. 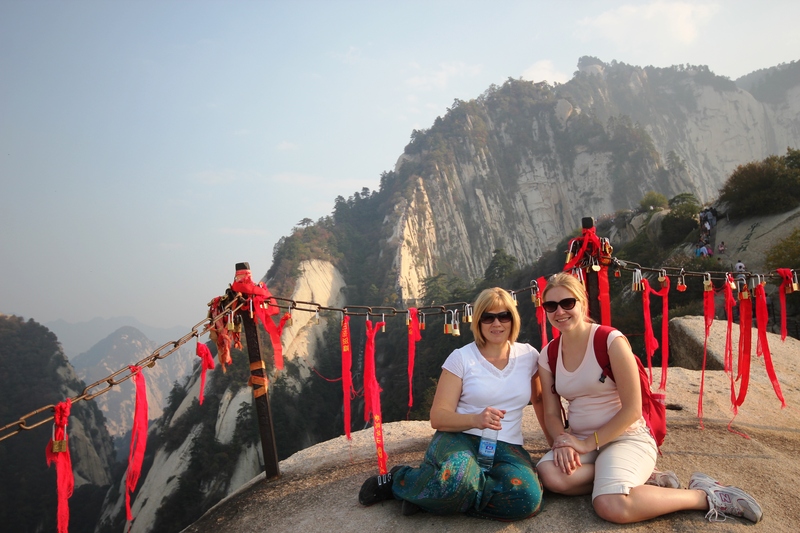 The plan for the next day was to take the cable car up to Hua Shan, enjoy the view from the top and walk around all peaks. This did not happen. The rest of China once again had had the same idea. We arrived at Xi’an train station to get the bus to Hua Shan and were slightly discouraged after seeing queues the length of the Amazon. Luckily we had one big Estonian and one big Zimbabwean man to make a way through the crowd and we quickly found a nearly empty bus, that got filled up very quickly. 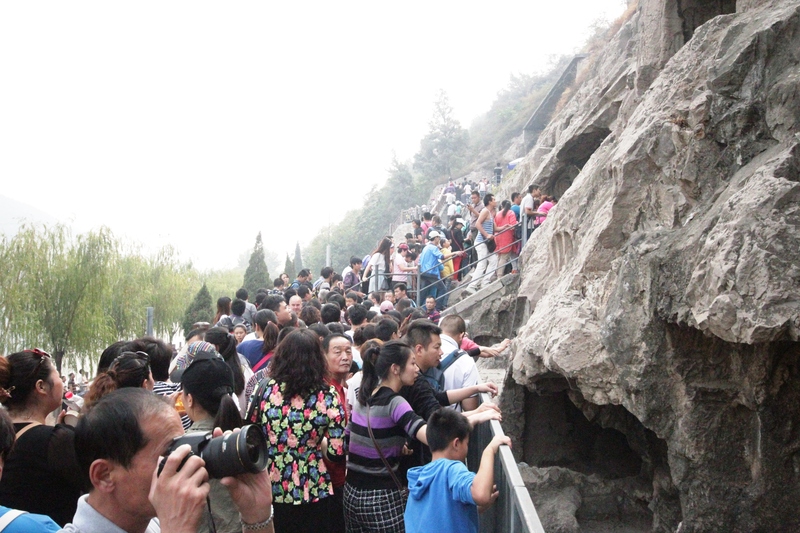 In my naivety I still thought all those people wouldn’t be going to Hua Shan. Once there, we bought tickets to get on the mountain. We then took another bus to get to the cable car ticket office. We bought tickets and got on another bus that took us to the actual cable cars. Don’t you just love the Chinese organisation of things? When we got off the bus at the cable car we found ourselves in another huge queue. David went to check if he could bribe someone (Zimbabwean manners), but came back with information that the wait is 3 hours and the climb is 2 hours. 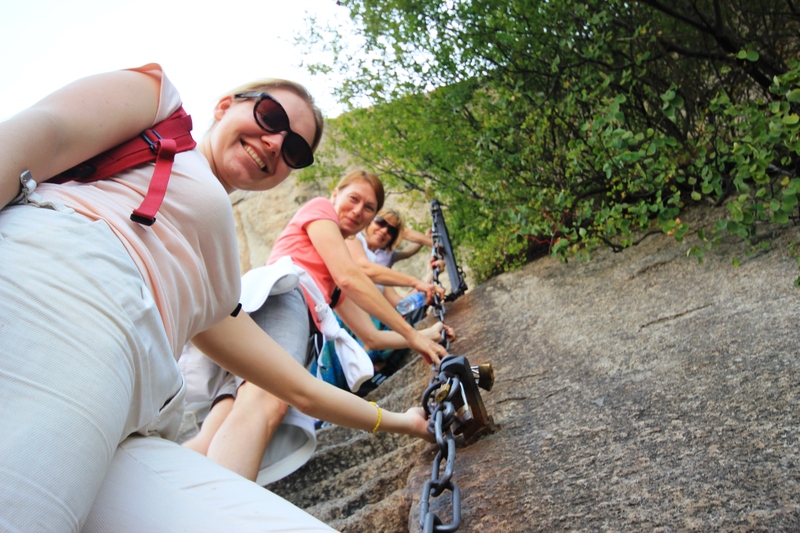 So we started traversing the steps up the mountain with the rest of China. In hindsight, we missed a great money-making opportunity. A record amount of people wanted to take photos with us. There were no other foreigners around, they must all have been much wiser than us and avoided the crowds. We took a much longer path up last time (6 hours), but the 2 hour climb this time was so much harder. Mostly because I was completely unprepared for it mentally and because I had no chocolate. The latter being the main reason. Just as the last time, the views were spectacular, the road was narrow, steep and dangerous, made a lot more dangerous by hundreds of people going up and down in all directions. Our plan for coming down was the cable car. Very unsurprisingly the queue to get the cable car down was another 3 hours. 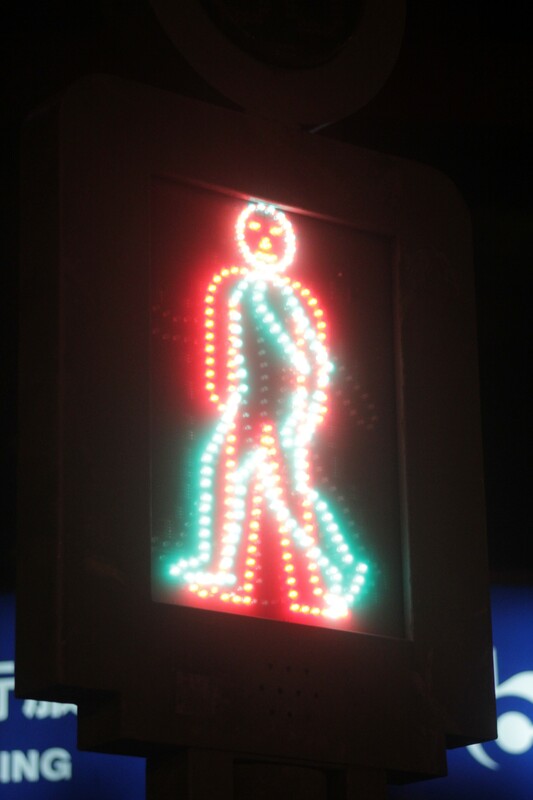 So we walked. Sometimes vertically. The way back was almost as eventful as climbing the mountain. We caught the last bus to Xi’an after speedwalking/climbing down the mountain. The bus should take about an hour and a half, but it took us double that. The roads were full of buses, cars and lorries, all trying to get home, all not obeying any rules, all trying to change lanes as often as possible. I saw about 8 accidents on the road, half of them involving more than 4 cars. This is not exaggeration. I was genuinely terrified for two reasons: what if we get into an accident and if these people driving these vehicles are the same ones who run this country? Probably best to leave that unanswered for the time being. We decided to take it easy the next day and have a day with cute animals, which we did, with some added spontaneous kiwi picking. 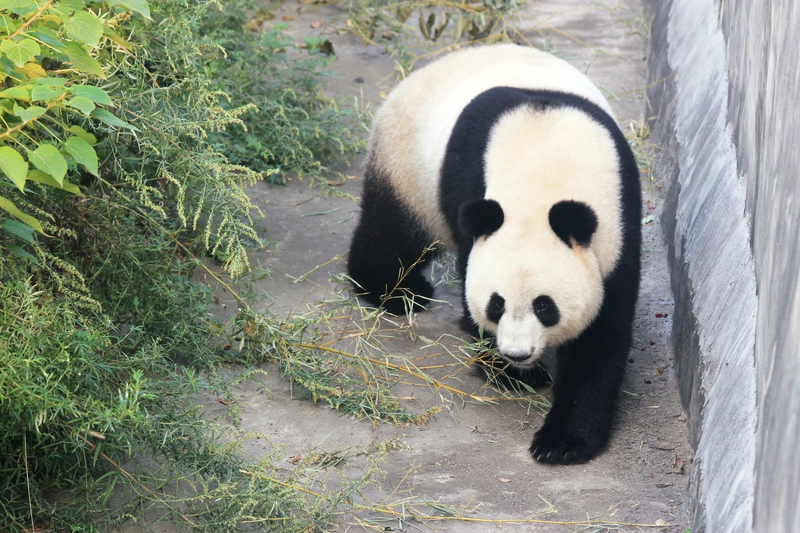 The pandas we saw live in a WWF rehabilitation centre in Qinling mountains close to Xi’an. It’s a place for injured and endangered animals that live in the mountains. 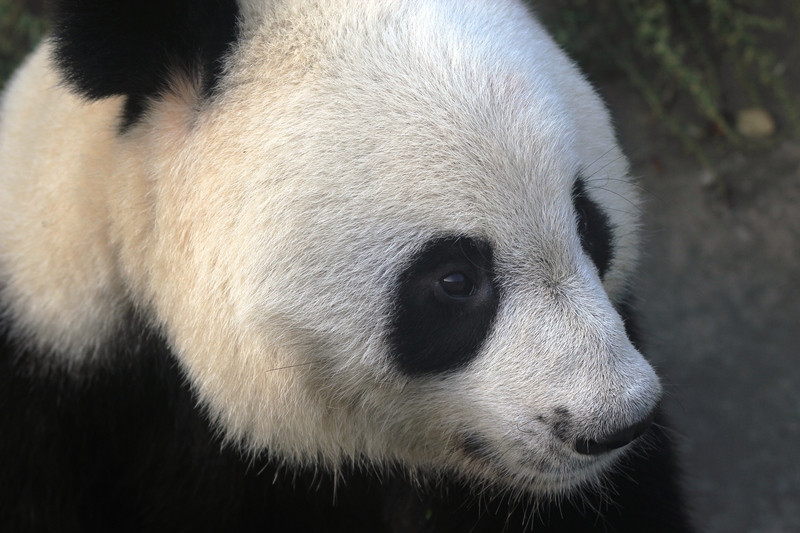 We saw some ibis, red pandas, golden monkeys, snow leopards, bears and of course, pandas. I had never seen pandas before, so I was pretty excited. They do look as cute as the pictures and they are surprisingly human-like in their mannerisms. We saw 3 different pandas, all of them were eating. 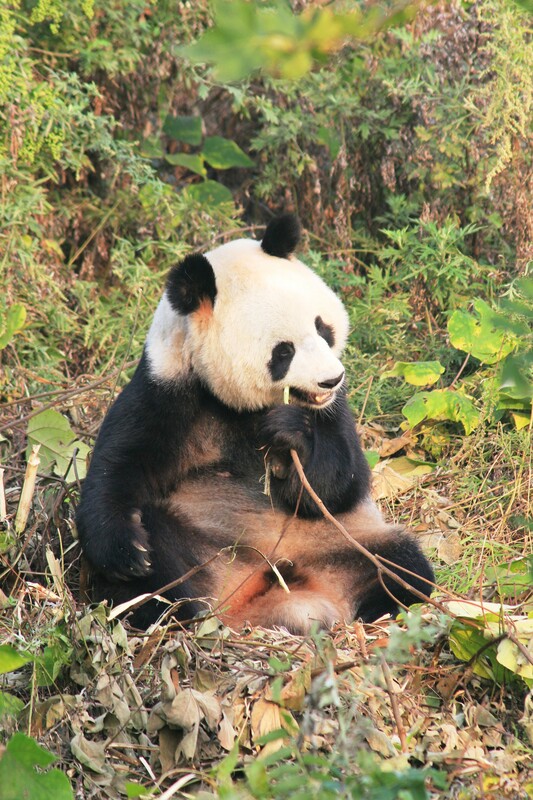 We hired a private minibus man to go see the pandas. Since we spent less time than intended looking at the docile creatures, we decided to ask our driver for a farm nearby where we could pick some fruit. He didn’t really know anywhere, but we did see many fruit sellers by the road. 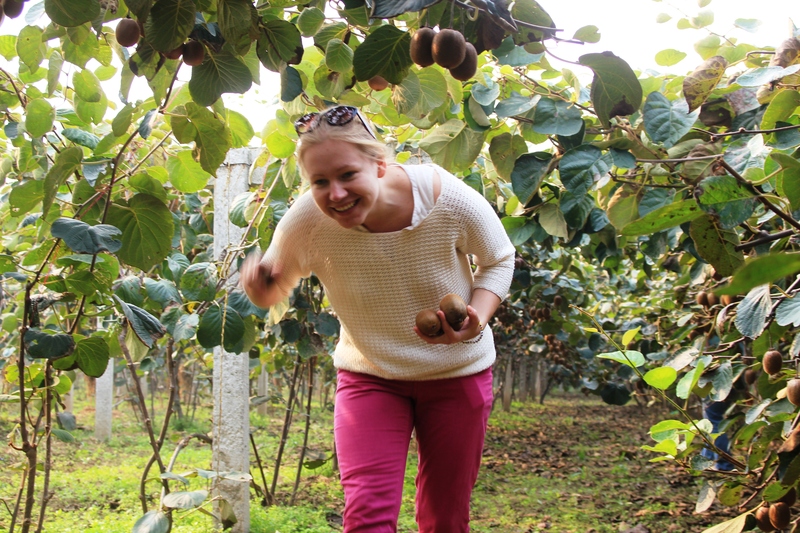 We picked out a lady selling kiwis and asked her to take us to her farm to pick some kiwis, which she kindly did. 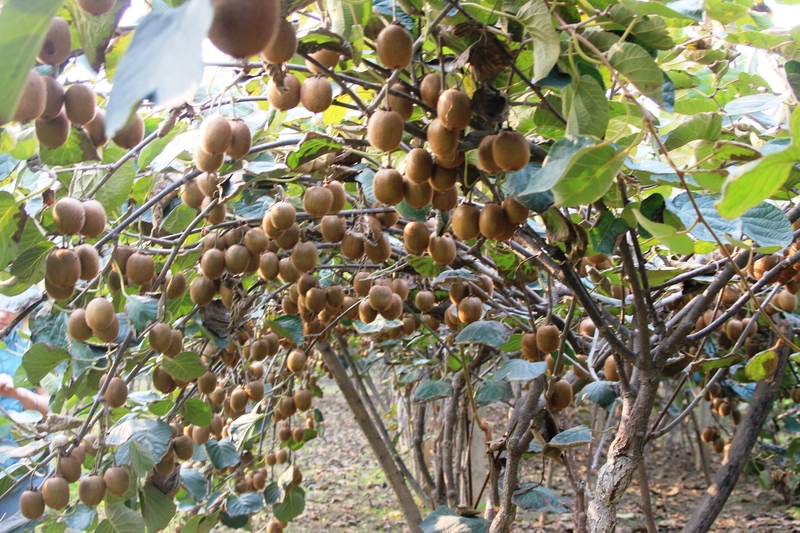 It was a very small village, surrounded by fields of kiwis. Estonians + one Zimbabwean in the middle of nowhere in China. 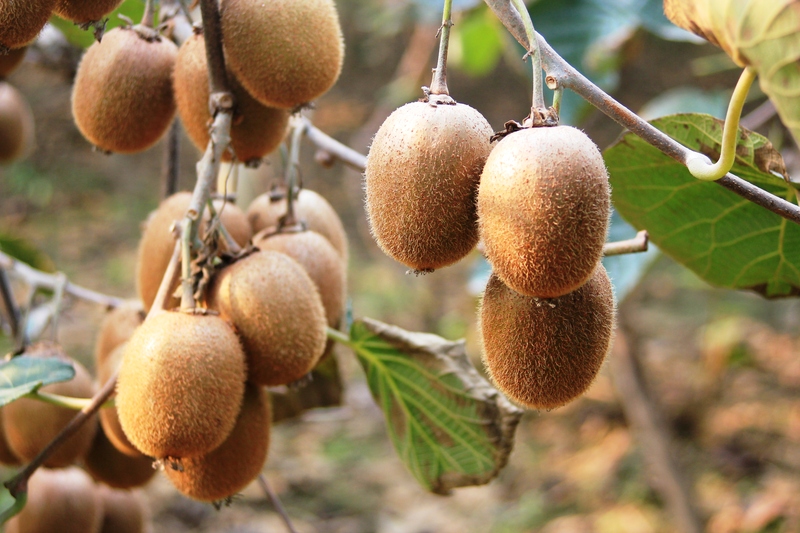 My mum and aunt went a bit crazy after tasting the first kiwi. I did too when I tasted it. They were really nice and sweet, not at all bitter. So we started filling boxes with them, trying to pick enough to be polite. We spent about half an hour eating the lovely fruit and picking them. We then walked back to the owner’s house through the village. It turned out that her family owned all the fields nearby. We visited a little temple on our way back and were very kindly welcomed by some elderly men passing time by the temple. One of them offered us the fruit that was already put on the altar as an offering to Buddha. I felt rude to refuse, so I ate the orange and Chinese date that I stole (?) from Buddha. After the compulsory photos with the family’s kids and two boxes of kiwis later we were on our way back to Xi’an. 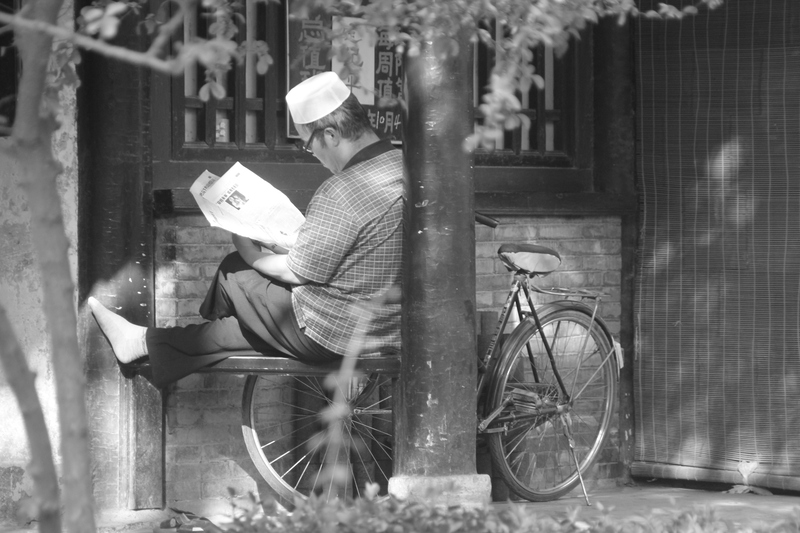 As you probably already know, I love the Muslim quarter in Xi’an. So I took our visitors there on numerous occasions, however, it was a lot more crowded than usual. The mosque provided much needed calmness and a break from the crowds. It is just amazing how such a place can exist amongst the chaos surrounding it. We didn’t meet very many Muslims in there, but we did see a lot of foreigners looking for some peace and quiet. 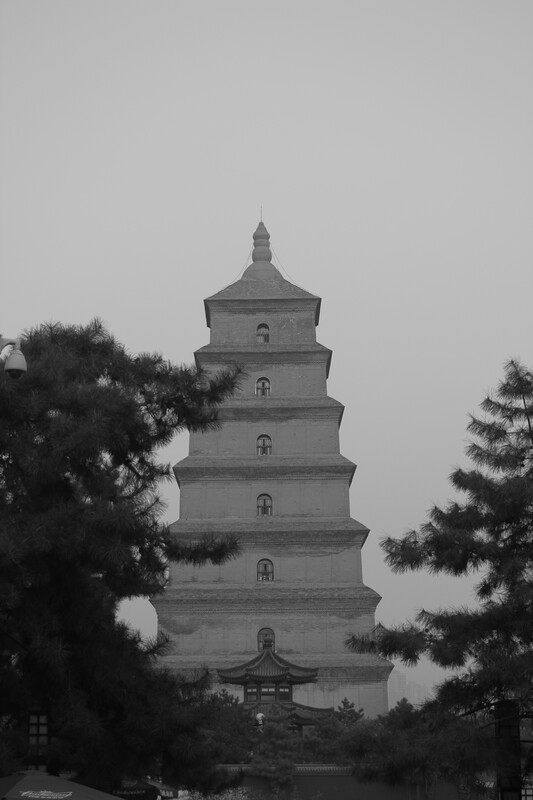 The Big Wild Goose Pagoda was built to house sutras brought over from India. 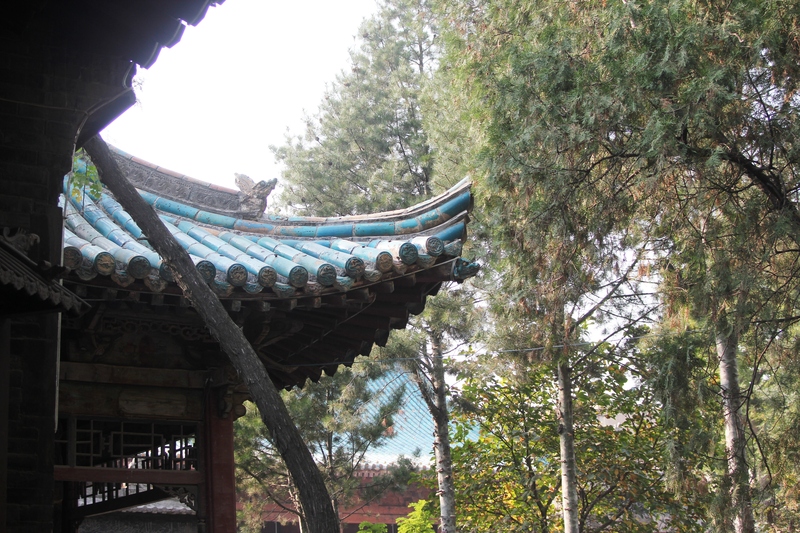 There’s a temple around it with its own bell and drum towers. We got there half an hour before it was meant to close, so we nearly had the place to ourselves. 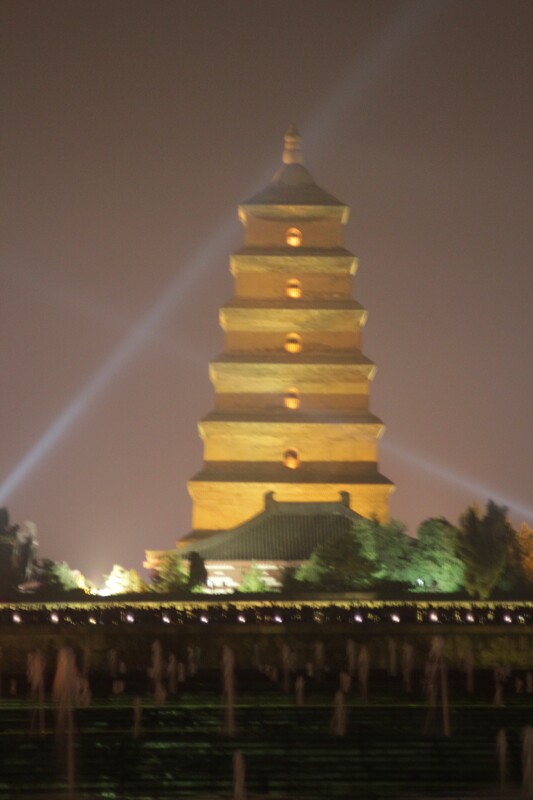 We climbed to the top of the pagoda, where we saw a beautiful view of the sun sinking into the pollution. There is a fountain and light show at the pagoda every day, but it did not seem to work on the day we chose to go and see it. I don’t think I have told you about Roger Moore yet. 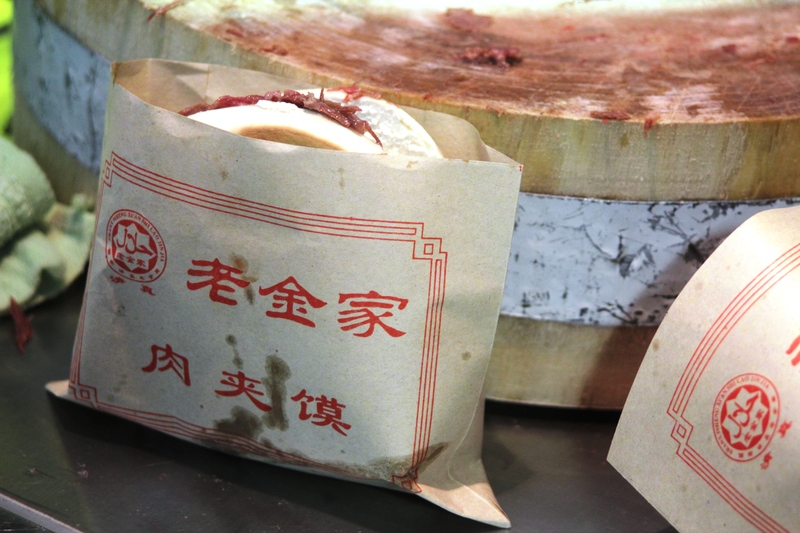 It is a very famous food from Xi’an and is basically a hamburger. 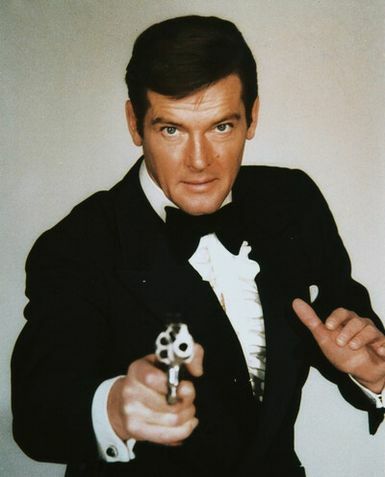 It’s called Roger Moore due to the similarity between the name and it’s Chinese name – ròu jīa mó, meaning meat bread. 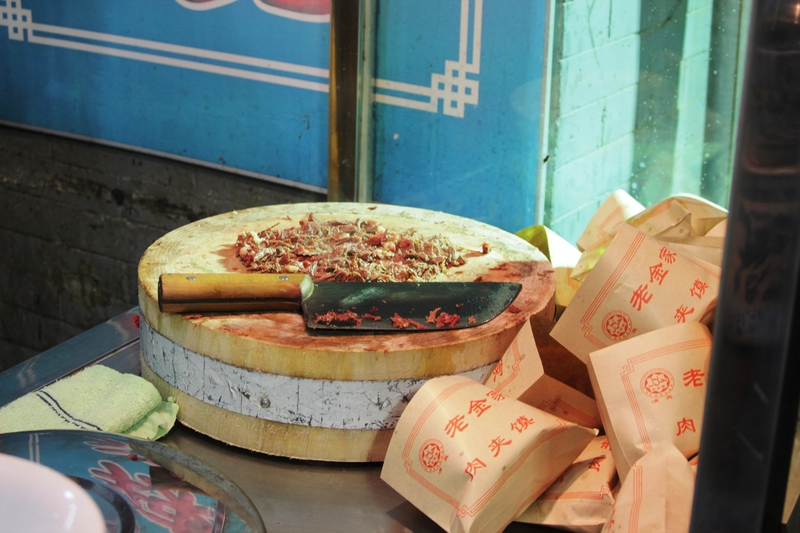 The meat is stewed, cut into small chunks and put into a round bread cut in half. It is very delicious, cheap and filling. 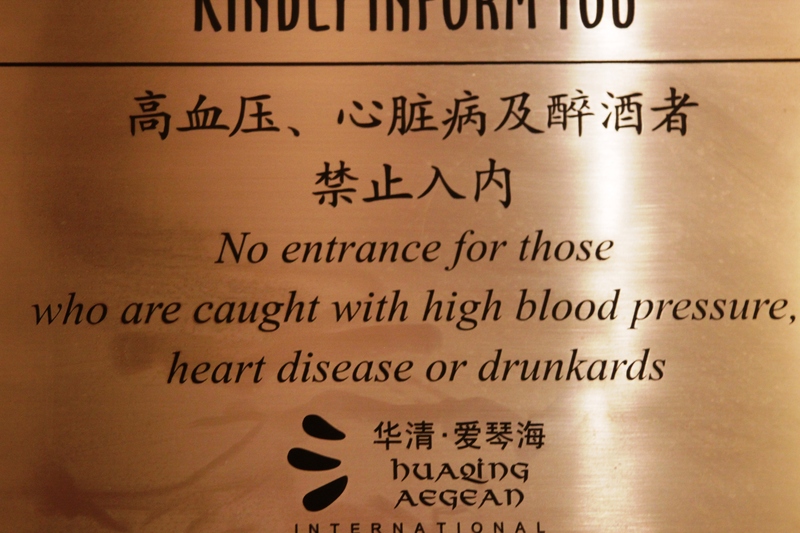 And finally I give you some Chinglish and only one reason why the Chinese streets see so much chaos. When said goodbye to my mum at 6.30 in the morning and hello to David’s cousin Flora at 8am. She has returned to Hong Kong, where she lives, by now and we are guestless once again. Our next plan it to visit Beijing and the Great Wall of China. I hope all you people are good and getting ready for winter/summer depending on which hemisphere you’re in. 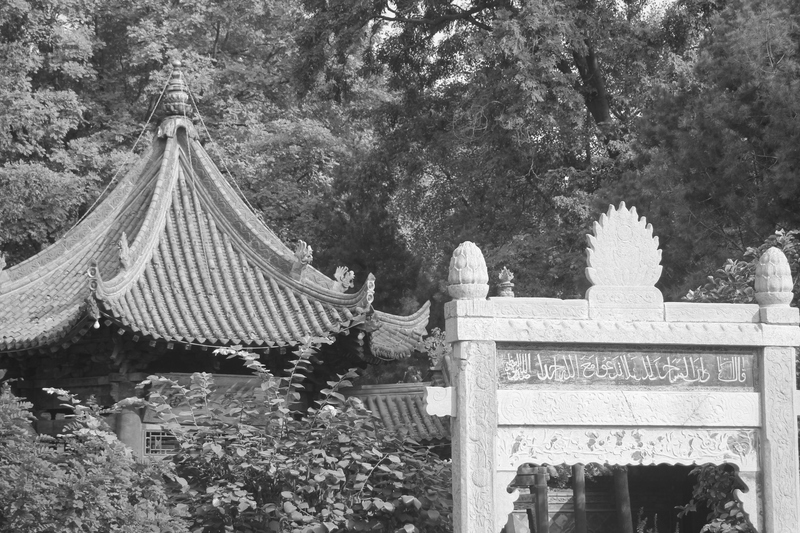 Posted in China, PlacesTagged Buddha, Chinglish, Great Mosque. 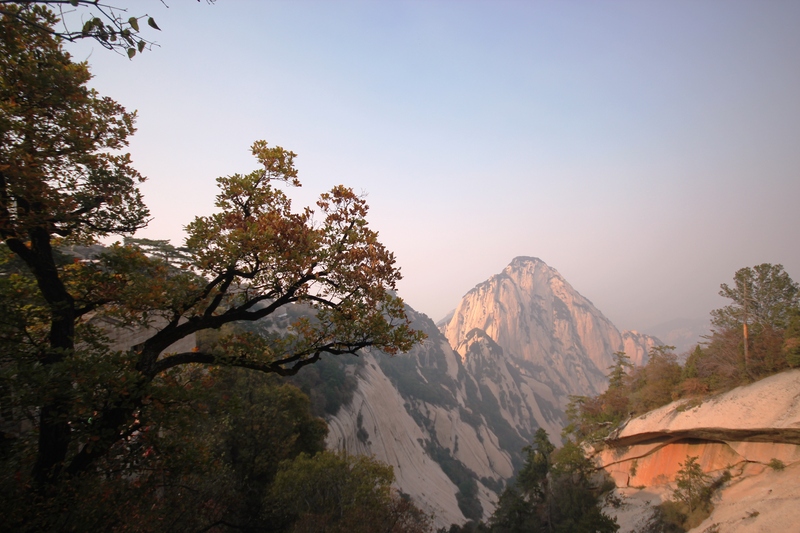 Big Wild Goose Pagoda, Hua Shan, kiwis, Longmen grottos, pandas, Roger Moore, rou jia mo, Xi'anBookmark the permalink.